The company's cloud division earned $4.1 billion in revenue but its profits fell flat. Amazon Web Services (AWS) has proved to be the main success story in its parent company's latest earnings report. Today saw Amazon reveal its second quarter results, with AWS helping boost its total profits as the business continues to drive the cloud computing industry forward. During Q2 2017, AWS saw an incredible 42 per cent increase in revenue compared to this same time last year. However, its profits were flat despite bringing in $4.1 billion in revenue. This is a significant jump from the second quarter of 2016 where Amazon's cloud division brought in $2.9 billion. AWS' operating income was $916 million for the quarter which was higher than in Q2 2016 at $718 million. While investors were surprised by the division's drop in profits, observers were not as they had expected it. Amazon has invested heavily in AWS recently, hiring more people and purchasing better equipment during the quarter, meaning operating expenses also increased. The company's own operating expenses came in at $3.2 billion which was up by 46 per cent compared to this time last year. 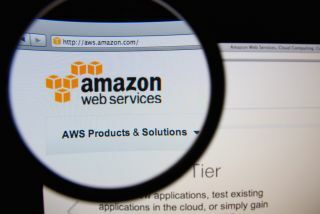 Amazon's second biggest competitor to AWS, Microsoft has not yet released the revenue numbers for its own cloud computing platform Azure but according to the company its revenue also grew by 97 per cent during the last quarter. AWS' financials are further proof that the cloud market is continuing to grow at a steady pace.